^ Issacharoff, Avi (March 29, 2007). "Arab states unanimously approve Saudi peace initiative". Haaretz. ^ Arab peace plan ads in Israeli papers. The Brunei Times. November 21, 2008. 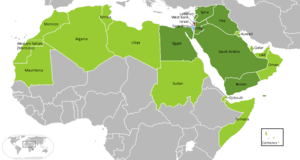 ^ Breathing New Life Into the Arab Peace Initiative. By Yossi Alpher. The Council for Peace and Security. November 24, 2008. ^ Haneya Reiterates Hamas Rejection to Arab Peace Initiative. Xinhua News Agency. October 9, 2006. ^ Abbas, Hamas agree on national coalition govt. Xinhua News Agency. September 12, 2006.